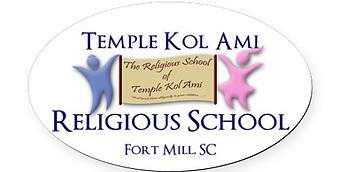 Keep up to date with everything that is going on at Temple Kol Ami with our weekly bulletins! This page is being updated! Please check back! Save the Date for Second Night Seder! http://www.signupgenius.com/go/10c0e44aba928a4fd0-2ndnight” style=”word-wrap: break-word;-ms-text-size-adjust: 100%;-webkit-text-size-adjust: 100%;color: #6DC6DD;font-weight: normal;text-decoration: underline;”>http://www.signupgenius.com/go/10c0e44aba928a4fd0-2ndnight</a>Menu includes chicken, brisket, multiple sides, matzoh ball soup, ritual wine and all the traditional Seder plate fare. The terms for some of TKA’s board members will be coming to an end in June. We thank these awesome volunteers for their service and are asking for those interested in taking a position on the board to please contact Bonnie Shaw at jshaw69766@gmail.com. If you do not want to commit to a board position but would like to help out in some other ay, please contact Bonnie. We will gladly put you to work! Please mark your calendars for April 20th when our awesome TKA Religious School students will be leading us in Friday night Shabbat service. Pizza preneg starts at 6:30 PM, service at 7 PM. Each class has been assigned certain prayers to lead, please help your child practice at home! We look forward to seeing our wonderful kids up on the bimah! Join the ladies of Temples Kol Ami and Solel for a fun night of jewelry-making and friendship! More details to come later. Price will be below $20, and we ask that you bring snacks or beverages to share. If you have never made jewelry, no worries! We will have our expert jewelry maker, Vivian Sternweiler, to help us out! Please RSVP NLT May 1st to yorksynagogue@gmail.com. The Adult Education Class will meet on April 15, 11 AM – noon at Ivybrook Academy in Fort Mill. If you would like to join the class, please contact Adena Adams at adenasherman@gmail.com. Copyright © 2018 Temple Kol Ami, All rights reserved.